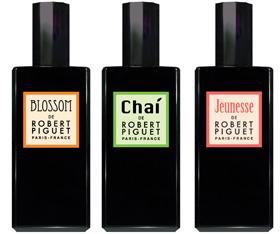 The Perfume Magazine WILL REPORT LIVE from Pitti Fragranze in Florence Italy and will be posting an update on the main page of the Magazine on late Friday and Saturday, September 14 & 15th, featuring the latest news of the Robert Piquet Parfums Pacific Collection. Be the first to read about our impressions and see images from the event! Hosted at Hong Kong's ultra-luxe department store Lane Crawford, the Parisian-themed event was attended by the retailer’s top VIP shoppers. 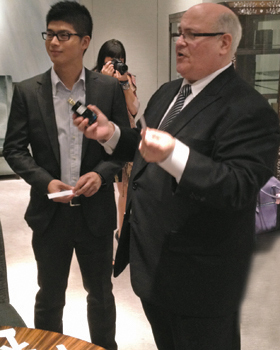 CEO Joe Garces at Hong Kong's lux department store, Lane Crawford, premiering the international new trio of scents. The scent has an audacious air, inspired by the original iconic Fracas. Petit Fracas is fresh, youthful and feminine, with a playful innocence. 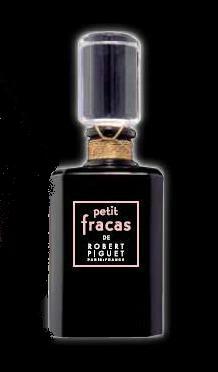 Flirtatious and charming, Petit Fracas opens with notes of fresh citrus and pear. At the heart of the scent is a floral with a vintage edge: tuberose and white flowers. Sophisticated, with a touch of whimsy, the base is underscored by the elegance of musk and sandalwood sprinkled with a touch of chocolate. The fragrance was created by Aurelien Guichard. “This is the first time that Piguet has been introduced in Asia—with a line specifically designed for and inspired by Asian Pacific consumers and culture,” said Joe Garces, the brand’s president and CEO. 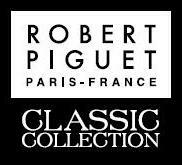 The Pacific Collection de Robert Piguet, is a trio of scents inspired by the lush beauty of the Pacific, according to Joe Garces. Blossom, Chai and Jeunesse were each created by Givaudan’s Aurelien Guichard. The 100-ml eau de parfum sprays will retail for $150.00, and will arrive stateside at Bergdorf Goodman. 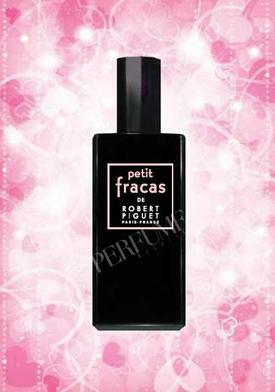 Robert Piguet will launch their brand new fragrance, Petit Fracas at the international fragrance show, Pitti Fragranze in Florence, Italy on September 14, 2012.